Metal Packaging Manufacturers Association (MPMA) has called for retailers to make it ‘crystal clear’ how and where packaging can be recycled. New research, commissioned by MPMA, revealed that almost 70% of consumers in the UK believe that retailers are not doing enough to present the recycling attributes of the products they sell. And 83% of the 2,000 adults who took part, also believe that retailers should make it crystal clear whether packaging can be recycled or not. The research was commissioned in part to explore consumer attitudes towards different materials used for paint cans and highlighted that when buying a product such as paint, the recyclability of the container is the third most influential factor after the cost and quality of the product. MPMA say that helpful information, such as the ‘Widely Recycled’ or ‘Metal Recycles Forever’ logos on the tin, can make all the difference for both the consumers who want to act responsibly and the retailers who want to serve them. MPMA spokesperson, Matt Sykes, said: “Metal paint cans were awarded the UK OPRL ‘Widely Recycled at Local Council Recycling Centres’ mark in 2013. 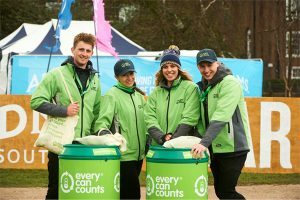 The mark presents consumers with a ‘crystal clear’ choice of how to dispose of their empty metal cans: they can choose to recycle them at their local household waste recycling centre (HWRC) or put them into landfill. Either way, the consumer has the final choice. 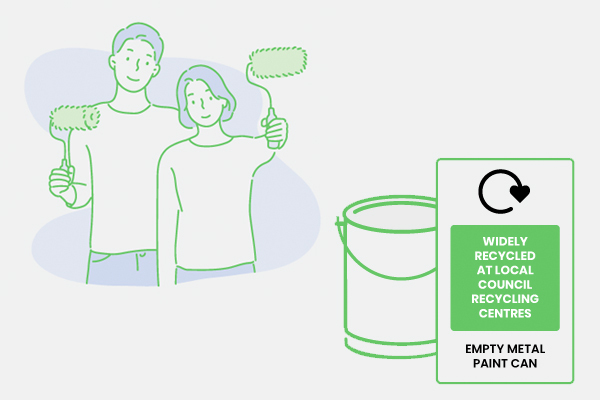 “It’s the consumer who has the ultimate responsibility of disposing of paint cans post-use, and our research shows that they are looking to retailers to provide absolute transparency regarding disposal choices. 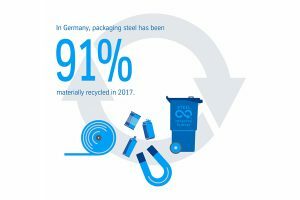 Both the ‘Widely Recycled’ and ‘Metal Recycles Forever’ logos, clearly show the consumer that, if disposed of correctly, metal paint cans will be recycled. This reinforces metal packaging as the sustainable choice for the DIY consumer. On-pack recycling logos presenting clear end-of-use options clearly matter, and not least with paint can choices, it’s time for retailers to act.” concluded Sykes.